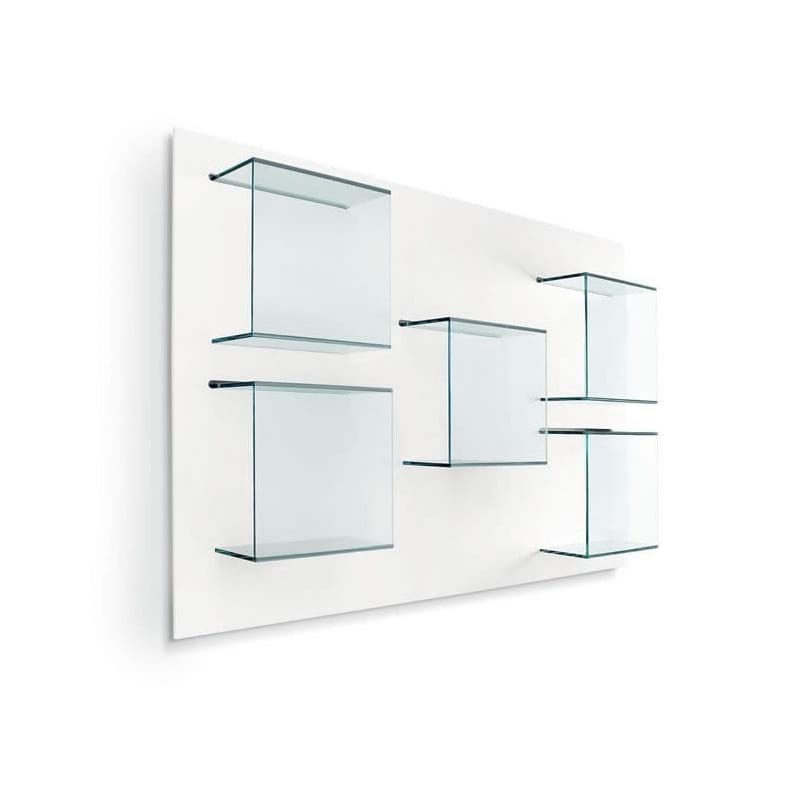 Dazibao display unit is an impressive wall mounted shelving unit designed by Gonzo and Vicari for Tonelli Design. 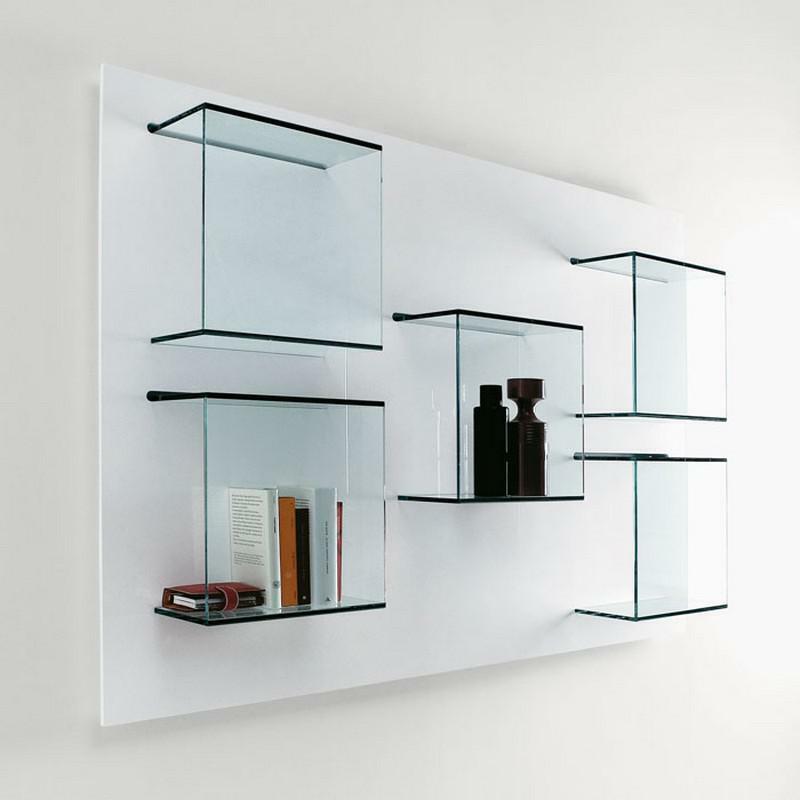 It is minimal in black or white color in combination with glass containers for books and objects. 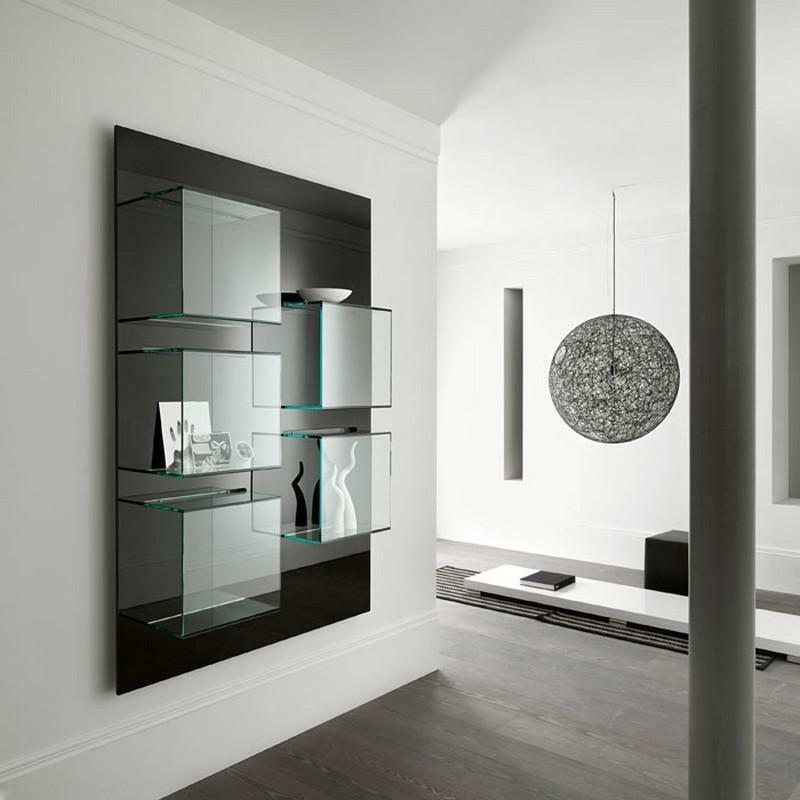 Note: Dazibao display unit is available in two versions horizontal or vertical. 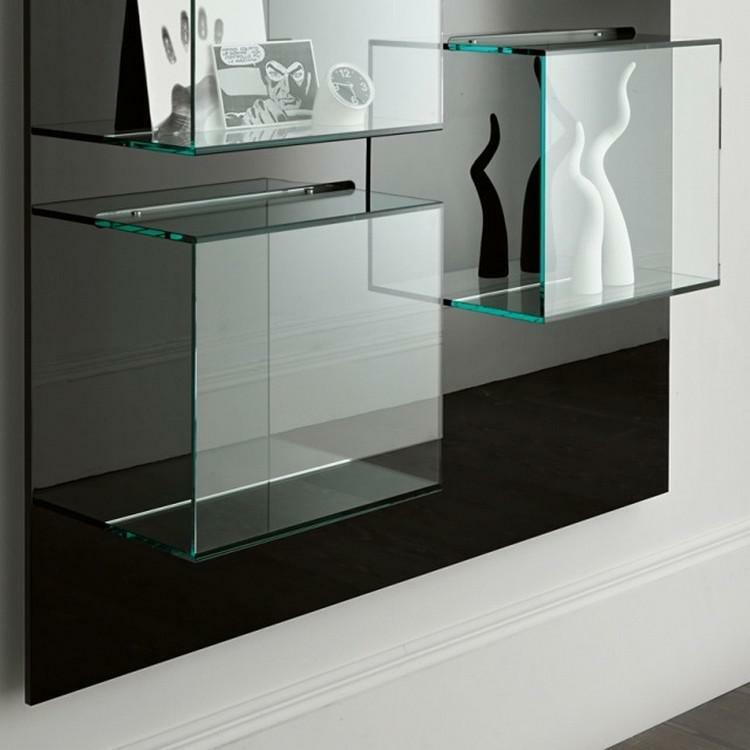 It comes with lacquered panel in white of black and glass cubic selves in transparent or extraclear glass. Dimensions: 120 x 25 x h 180 cm. OR 180 x 25 h 120 cm. Load: 10 kg on each self.